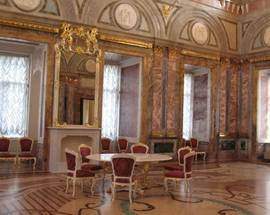 The Marble Palace has long been a centre for cultural exploits in the capital. 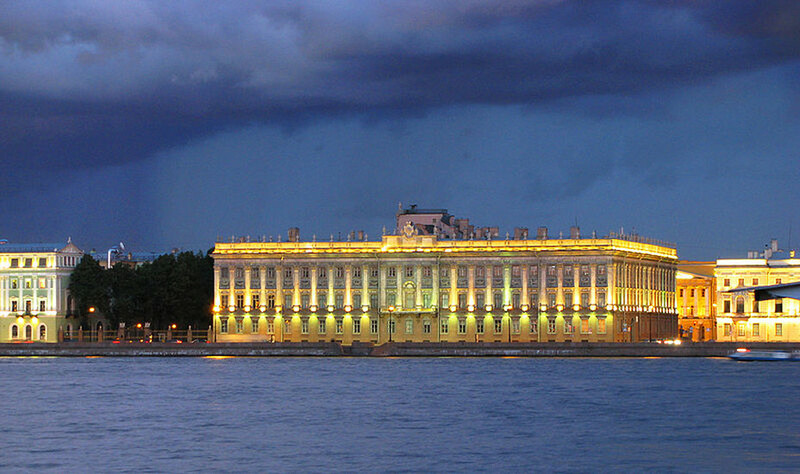 It was built in 1785 by Antonio Rinaldi for Ekaterina II’s favorite Graph G.Orlov. 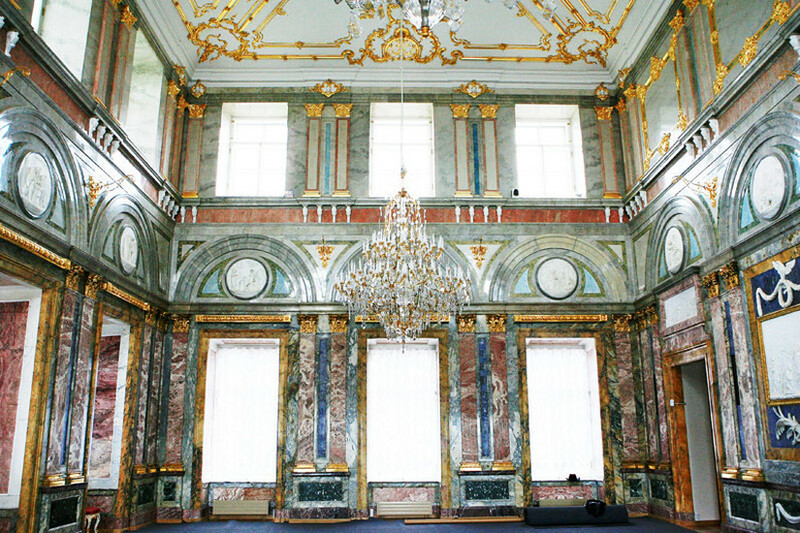 During the late 19th century, under the ownership of Grand Duke Konstantin Konstantinovich, an accomplished poet and translator of Shakespeare and Goethe, the palace became a hub of cultural activity, hosting public readings as well as musical and theatrical performances. 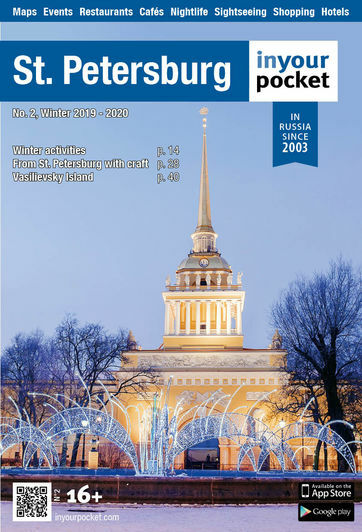 Following the revolution it was briefly used as a department for the Academy of the History of Material Culture before becoming a branch of the Central Lenin Museum in 1937. 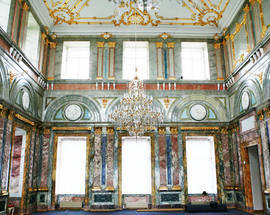 Many of the original interior decorations were destroyed in 1969 - 1970 after Lenin Museum exposition renovation. 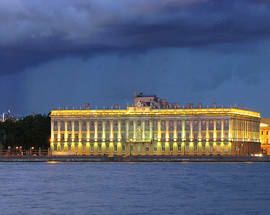 Then, after the break up of the Soviet Union, the fledgling state awarded it to the Russian Museum. 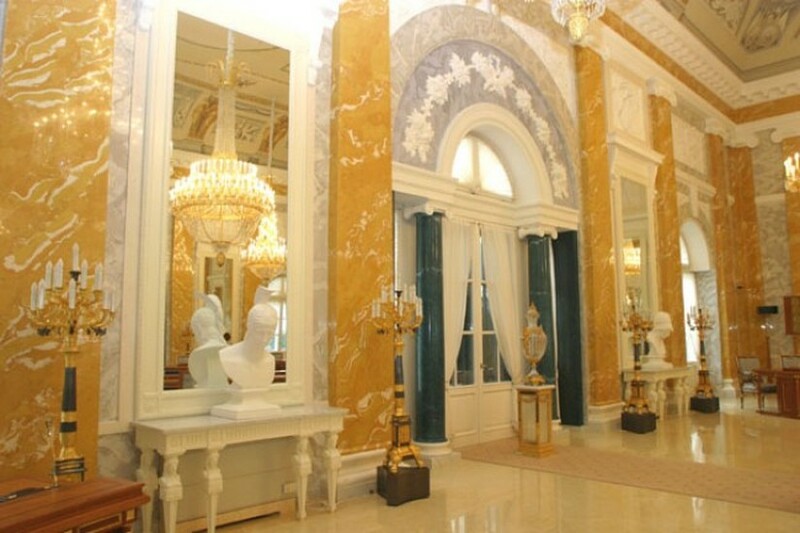 The Marble Palace effectively operates as the Russian Museum’s modern art department, having been gifted part of the collection of famous German collectors, Peter and Irene Ludwig in 1995. With highlights including Jeff Koons, Cy Twomby and Pablo Picasso, the Ludwig Museum is the only permanent exhibition of art of the late 20th century that allows viewers to trace the development of Russian art in the context of world culture. 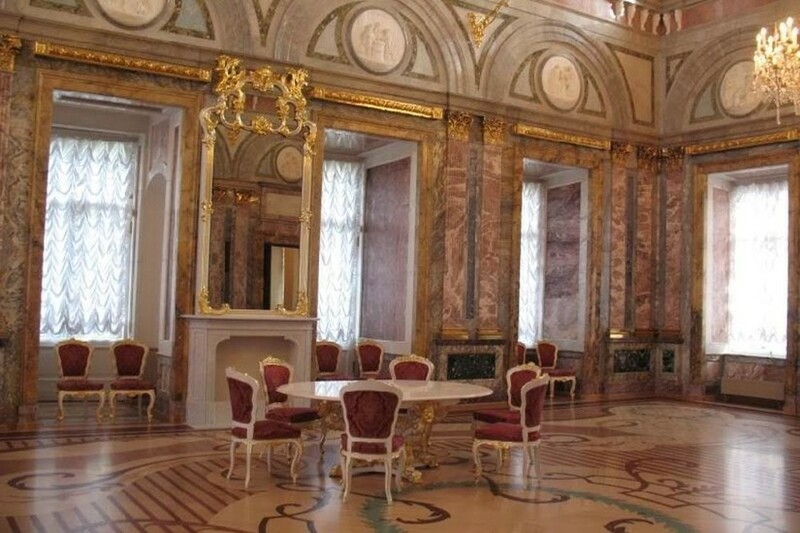 Despite the partial destruction of the original interior during the 20th century, much of the palace’s integral decor has been preserved. Thus, a strange, albeit pleasing, dichotomy exists; so that while looking upon Serge Essaian’s Good Morning, one is simultaneously aware of the intricately decorated stucco adornments. Also on permanent display is the collection of brothers Jacob and Joseph Rzhevsky. Admission 200 - 400Rbl. Ticket to two branches of the museum 350 - 750Rbl. 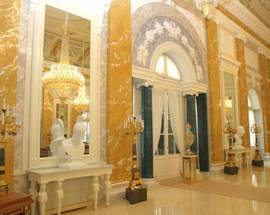 All-in ticket to Mikhailovsky Palace, Marble Palace, Stroganov Palace, Mikhailovsky Castle within 3 days 500 - 1,000Rbl.